IN a world where online users are all about latest tweets and status updates, the role of email seems to have dropped out of the spotlight. However, data about email deliverability supports the fact that email marketing is certainly a strategy your company should pursue. 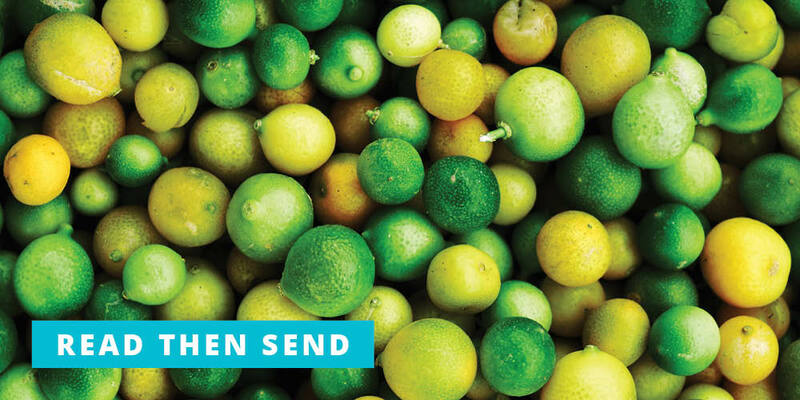 If you’re serious about email marketing being a part of your business, you should get acquainted with tools for creating email marketing campaigns, such as Sendlane and GetResponse. The main benefit of such tools is the possibility to use and customize email templates, to use different layouts, add photos, links, etc. All of these features together make your emails look more professional and more engaging, which ultimately increases the efficiency of any marketing campaign. As the number of mobile users is overtaking the desktop usage, you as a marketer need to think about how this affects your email campaign. Based on Campaign Monitor reports, about 53% of emails are opened on mobile devices. For you, this means that mobile-friendly design is imperative. As you are about to come up with that killer subject line, or some interesting graphics, think about how these will look on mobile devices. For instance, the subject line will most likely be cut off after three or four words on a mobile device screen, which means the readers won’t see the entire message unless they click on the email to open it. 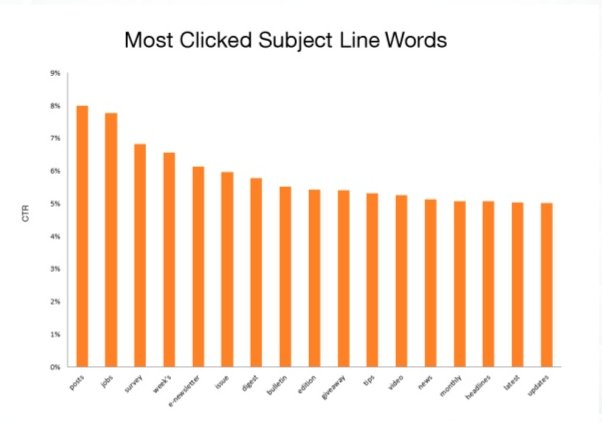 This means that subject line actually has a tremendous impact on whether you’ll be able to get the recipients to read your message, or whether your message will end up being reported as spam. 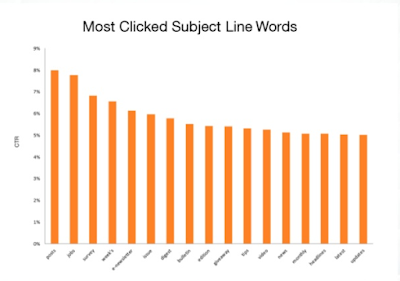 Based on HubSpot’s study, most clicked subject line words include: posts, jobs, and survey. An excellent subject line, combined with personalized approach is a proof you really know your target audience. Leveraging these two well is a skill you’ll find essential for a successful email marketing campaign. This is what will help you differentiate yourself from the spammers, and one thing that will convince your recipients that they made a good choice when joining your mailing list. Ready to learn more? MailChimp has a great resource with some of the most common spam filter triggers and we have our own email curse word database! A call to action or CTA is a tool you use to motivate the readers to perform a certain activity or function, such as clicking on a link, buying a product, downloading a document, etc. 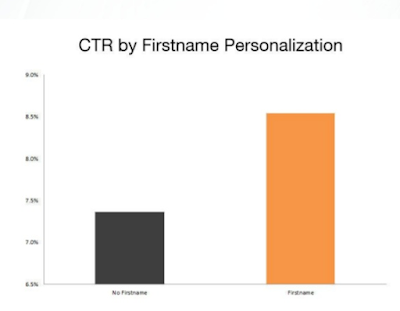 Since the goal is to persuade the users to do something, a CTA is naturally a big part of your email strategy, so make sure you perfect the art of CTAs. Everything here is very important to the success of your email marketing efforts. As soon as you are familiar with both performance boosters and pitfalls that might get in the way, you will be ready to take advantage of email marketing as a strategy to improve your business. In the end, we also want to highlight that email marketing requires a delicate approach and sense of personalization, as your ultimate goal is to communicate with your subscribers. The only way you will be able to do so successfully is by knowing the tricks and mechanics behind email marketing. Being a good communicator yourself, as well as being a great listener, and learning from the campaign data obtained over time will help you tweak your approach for better results. Knowing email marketing trends is always helpful, but analyzing email marketing metrics is also a good way to keep your eyes on things that might need changing. Have something to add? 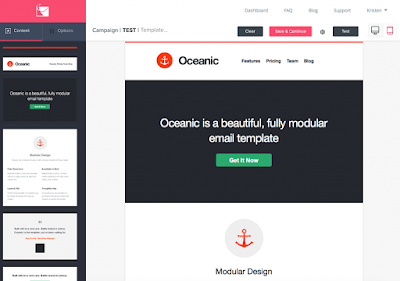 We’d love to hear your experience and any helpful ideas for others to get started with their first email marketing campaign.